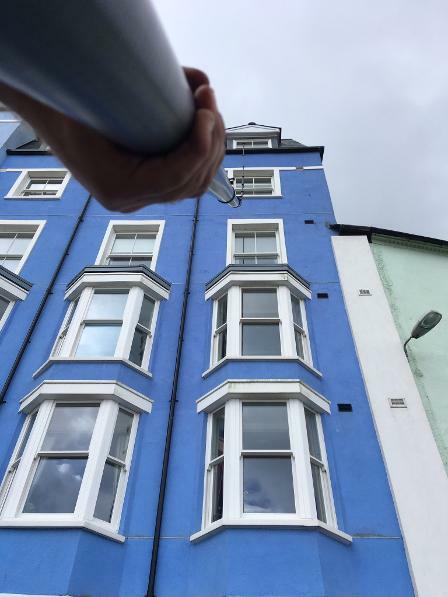 Established since 2001, ATS WINDOW CLEANING is a well-respected, professional window cleaning and cleaning company working throughout Pembrokeshire and Carmarthenshire. We specialize in eco-friendly, effective cleaning methods whilst always endeavouring to keep properties looking their best both internally and externally. With two bases, at Carew and Carmarthen, we are based very centrally in Pembrokeshire and Carmarthenshire. With a customer base from Carmarthen to St. Davids we travel through many areas of Pembrokeshire to reach our work. We are confident we can provide a window cleaner for your business or home. We are big enough to cope, yet still small enough to care. Fully insured, (Insurance certificate available, please Contact us for this). We are well equipped, with Safe Working Practices. All staff at ATS WINDOW CLEANING have undergone extensive Health and Safety Training, and our training continues to keep up to date with current law.